The 13th Annual Movies for Grownups Awards Gala took place at the Beverly Wilshire during the weekend. These awards honor filmmakers who create compelling stories catered toward the 50-plus audience. 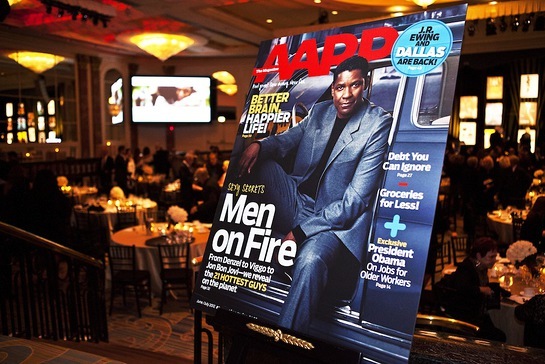 The gala benefited the AARP Foundation and their efforts in raising awareness of hunger among seniors in the U.S.
Griffin’s spunky and sassy personality kept everyone in a jovial and uplifted mood. 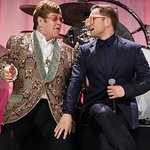 She called AARP “the new mafia, the new Sopranos.” Griffin struck a more personal note when she asked her 93-year-old mother – who was in attendance – to stand and be recognized. Film legends Bruce Dern and Susan Sarandon graced the stage to accept their awards. Bruce Dern won Best Actor for “Nebraska” and Susan Sarandon – who has appeared in 70 feature films throughout her career – won the Lifetime Achievement Award. Look to the Stars caught up with Jane Seymour, Ted Danson and Steve McQueen regarding their charitable work. Seymour spoke about the Open Hearts Foundation. "We support a number of different charities. What we do is every year, we honor people who have taken a challenge in life and turned it into an opportunity to help others. Last year, Glenn Campbell was one of the recipients and the Alzheimer's Association received our support." When Ted Danson isn’t acting, the two main charities that he supports are Oceana – an international ocean conservation organization – and Angels at Risk, a Los Angeles non-profit that helps prevent teenagers and families from succumbing to drug and alcohol-related challenges. 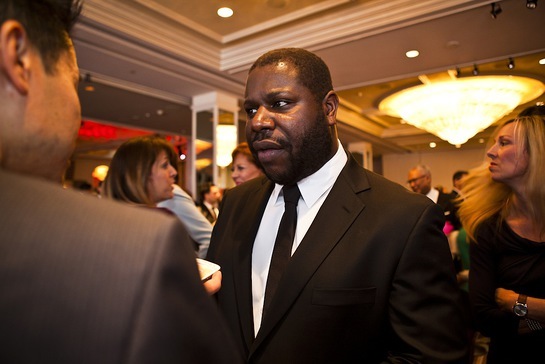 Steve McQueen, director of “12 Years a Slave,” spoke passionately about his support of Anti-Slavery International, the oldest abolitionist charity in the world that began in 1839.